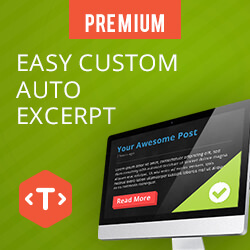 Easy Custom Auto Excerpt is a WordPress plugin to cut/excerpt your post displayed on the home, search or archive pages. 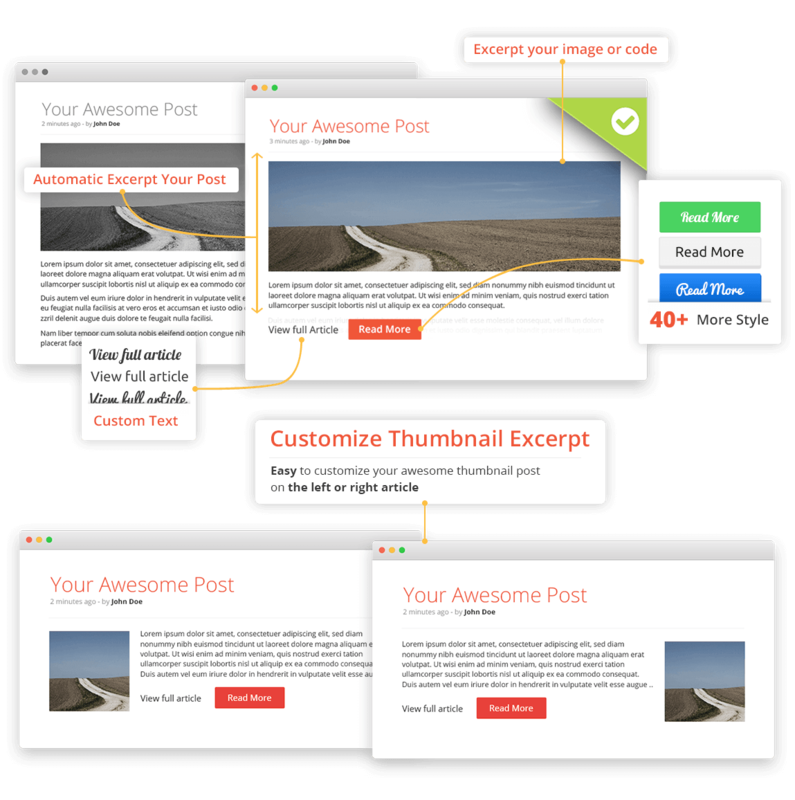 By using this plugin you don’t need to excerpt your post manualy; just activate the plugin, configure the word length and you’re good to go.. You can also change the image thumbnail position for the generated excerpt. How it Works/ How does it work? 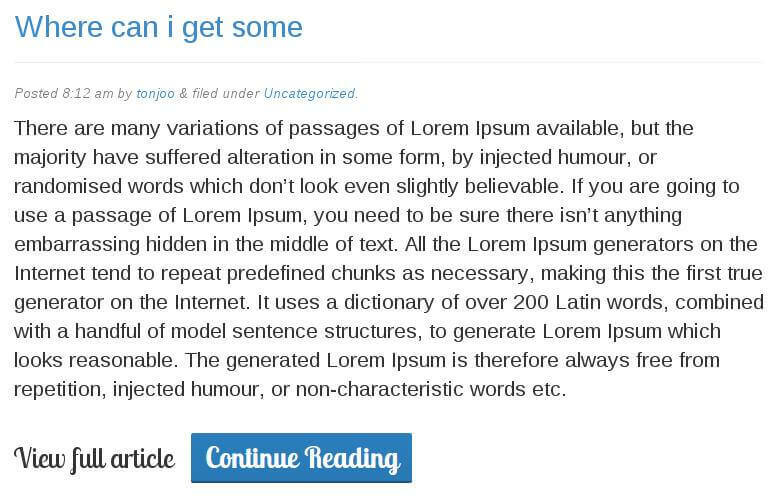 ECAE will seamlessly excerpt your post with a neat result. 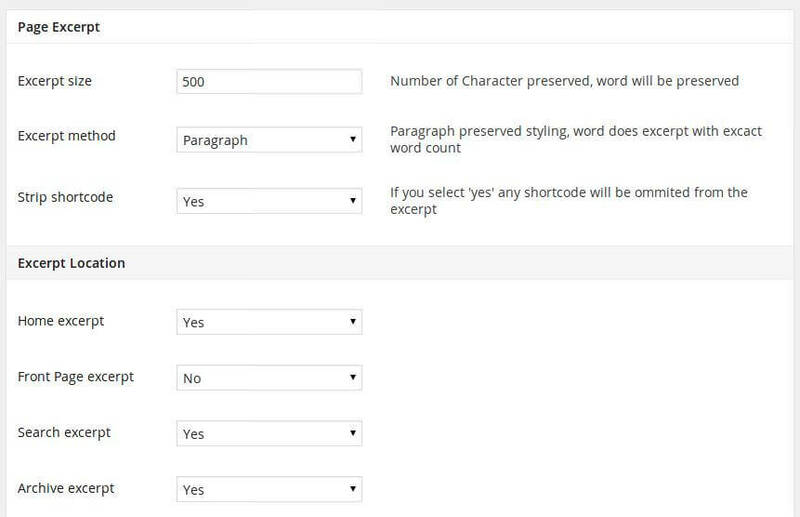 This plugin comes with many parameters that you can tweak, such as word length and excerpt methods (by word or by sentence). You can customize the Read More button text as you like. It can be plain text or a button. Any image and shortcode on the excerpt will be preserved, saving you a lot of time from a manual excerpt. You can also set a featured image based on the first image on the post. With the Premium version, you can change the text size and typeface, and also unlock some awesome features like excerpt method and image attributes. 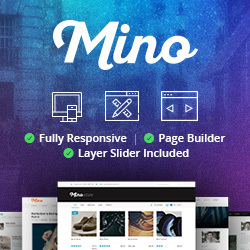 The Premium version also comes with 40+ predefined theme buttons that you can choose from.. Some posts need excerpt, and some others don’t. The premium version allows you to disable excerpt on a certain post. Use our support forum to solve your problem if you ever used the plugin. Premium buyer will get priority support on the forum. Do you want to get all of the benefits of ECAE? Try ECAE right now ! It has broke my website! The auto excerpt cannot properly cut on some element, if its broken. Please use the read more/post excerpt. It can be activated from the screen option. What will happen if I wrote ‘read more’ for the post? It will be used instead of the automatically generated one. Technicaly speaking, some themes don’t use the_content() when producing the contents. In such cases, the excerpt won’t work. Easy to configure, word lenght and where to do the excerpt. Plus you can show or not to show image on excerpt ! In this manual we will describe how the auto excerpt work. 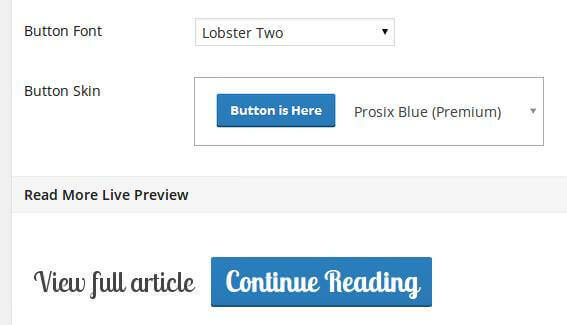 If you need fine grained control for each post , we advise you to use the ‘read more’ feature that wordpres provide.